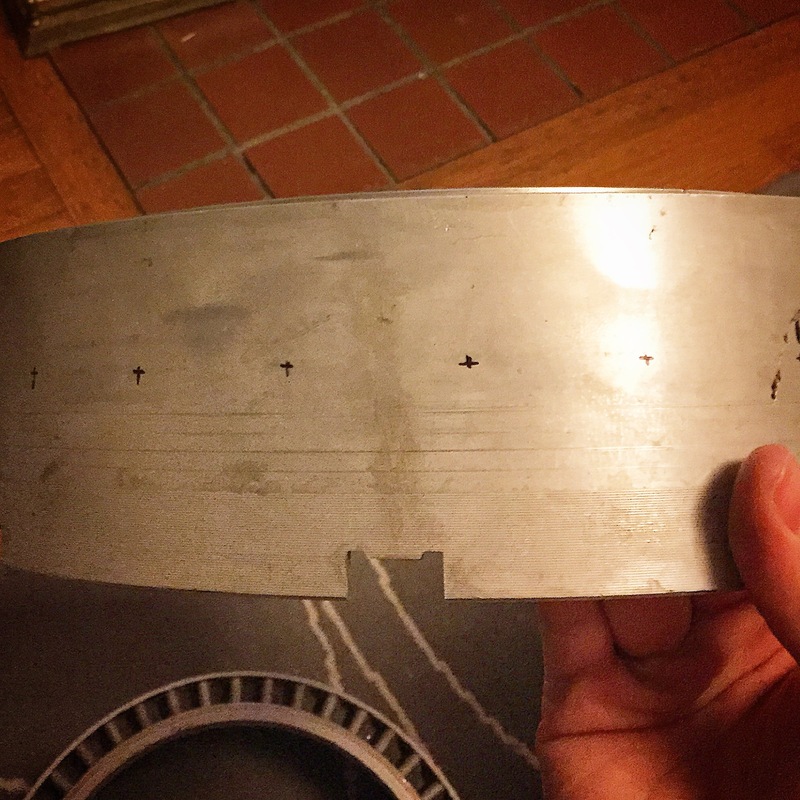 The search continues for an original banjo made by Jenes Cottrell. Over the years, I’ve documented, photographed, and played several of Cottrell’s banjos. These have all informed my build process, have helped me to learn more about Jenes himself, and afforded me wonderful friendships. 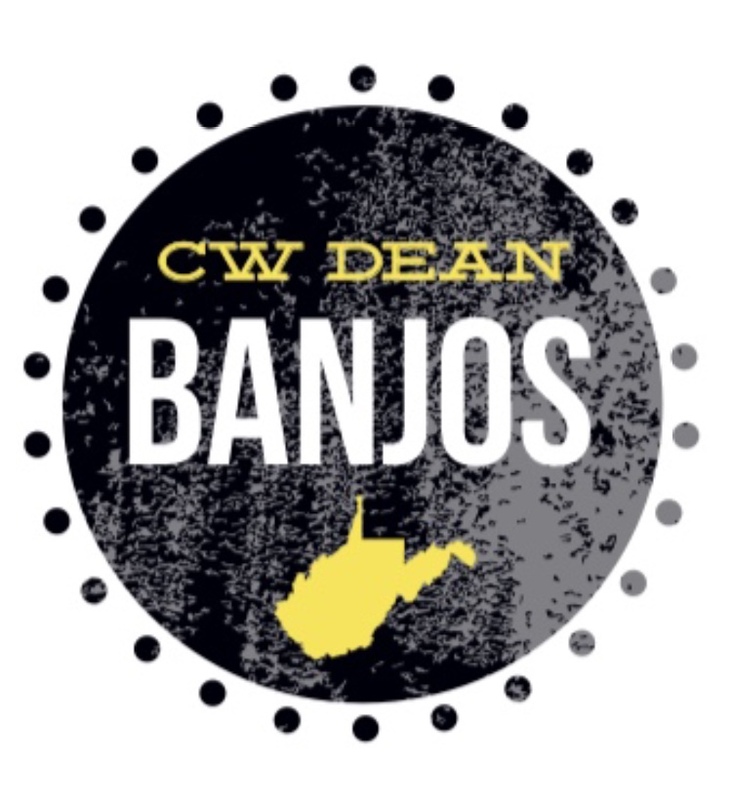 Each year, I set up a booth at the West Virginia State Folk Festival that allows me to both demonstrate banjo building and educated folks about Jenes. Over the years, I’ve been able to borrow severals of Cottrell’s items including unfinished banjo necks, a walking cane, and a chair for the weekend. 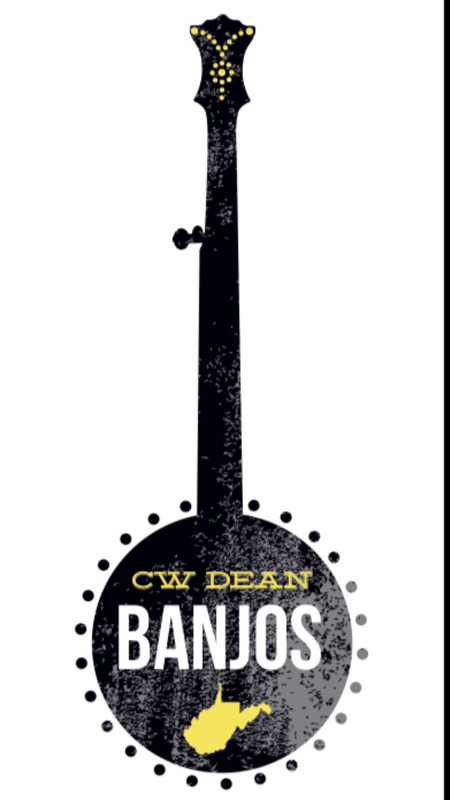 Also, this past November I gave a presentation on Jenes at the Banjo Builders, Collectors, and Players Gathering. Each year I would like to give more presentations on Jenes at a variety of festivals and events throughout WV and other states. 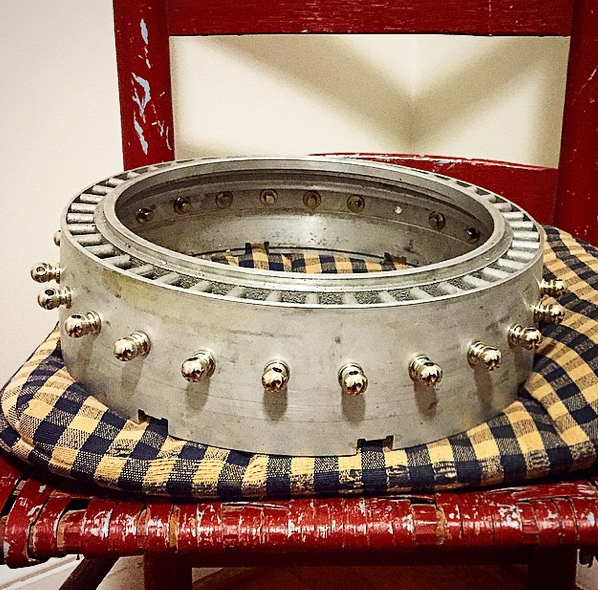 It is my ultimate goal to be fortunate enough to own both a torque converter and pressure cooker banjo made by Jenes Cottrell. They would be not only be instruments to play and pass on thru my family but, more importantly , my goal is to have these instruments for folks to play and ultimately teach the music and history of Jenes Cottrell. If you know of any of Cottrell’s banjos for sale (at a reasonable and honest rate) please contact me. Also, If you know of any that I could at least document, let me know as well. Today I drilled the holes for the shoes. 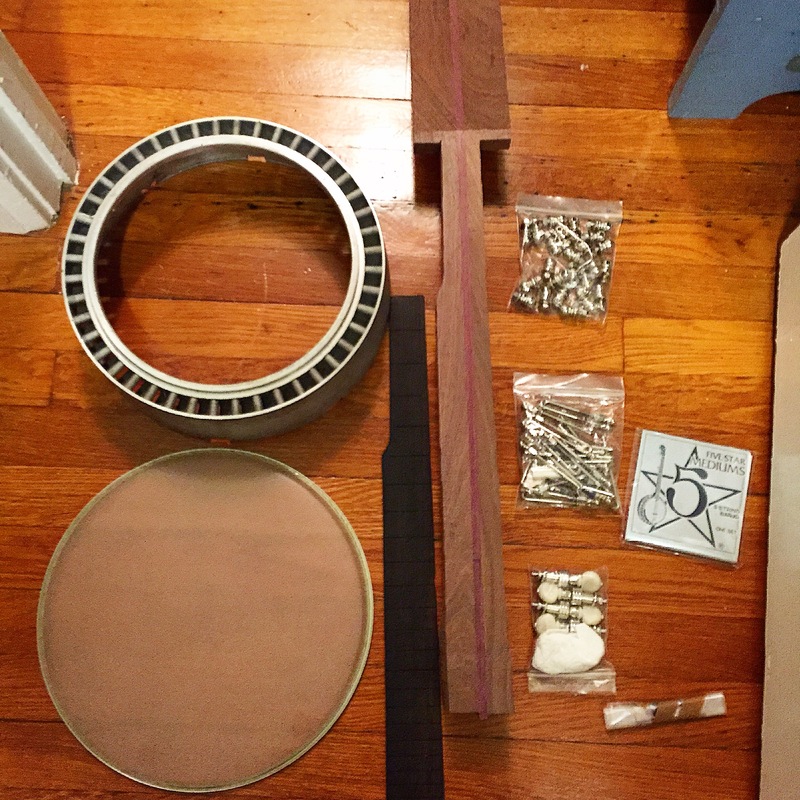 Tomorrow I make the tension hoop! I’m finally getting closer to launching a website! 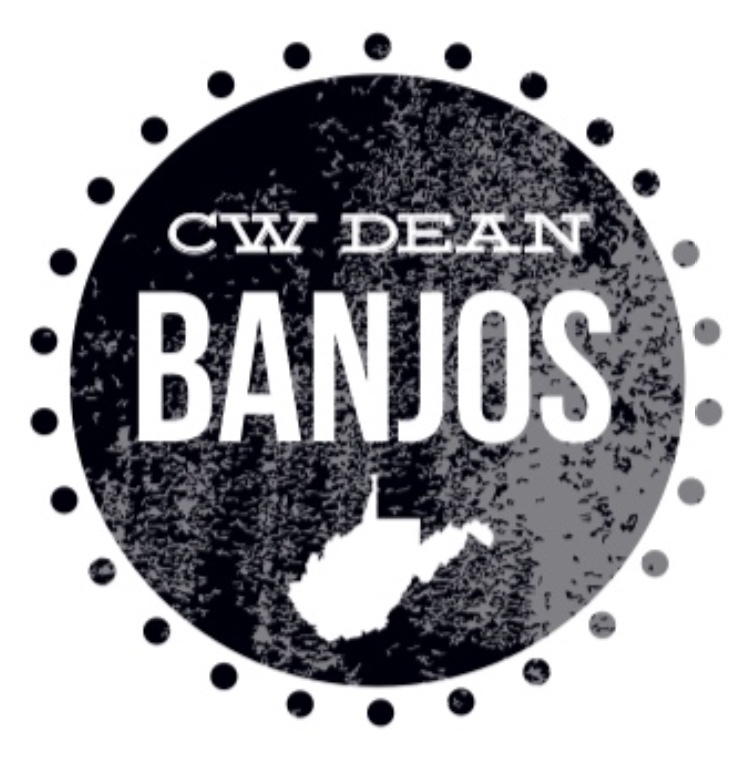 For my birthday, my wife enlisted the help of our good friend Jenna Zelkowski of Graphcom Creative in Gettysburg, Pa to come up with a logo and work on branding for my banjo building. Below are the designs. Let me know what you think! I’m in the beginning stages of another banjo build and I’m excited to be at it again. It has been an interesting build so far, as I have been moving much slower than usual. Last Monday, 12/1, we welcomed our daughter into the world. Leading up to that I have not been able to devote as much time, daily, to building banjos. So instead of building a banjo in a month, now my turned around time has shot up to 2-3 months. I am excited about this build! Some interesting things to note: the peg head style, the inlay, and the tailpiece. For the peg head, I will be using the design that Jenes used on the last banjo he built for himself. For the inlay, it will be entirely out of knitting needle. Finally, the tailpiece will be a copy of one that Jenes made. 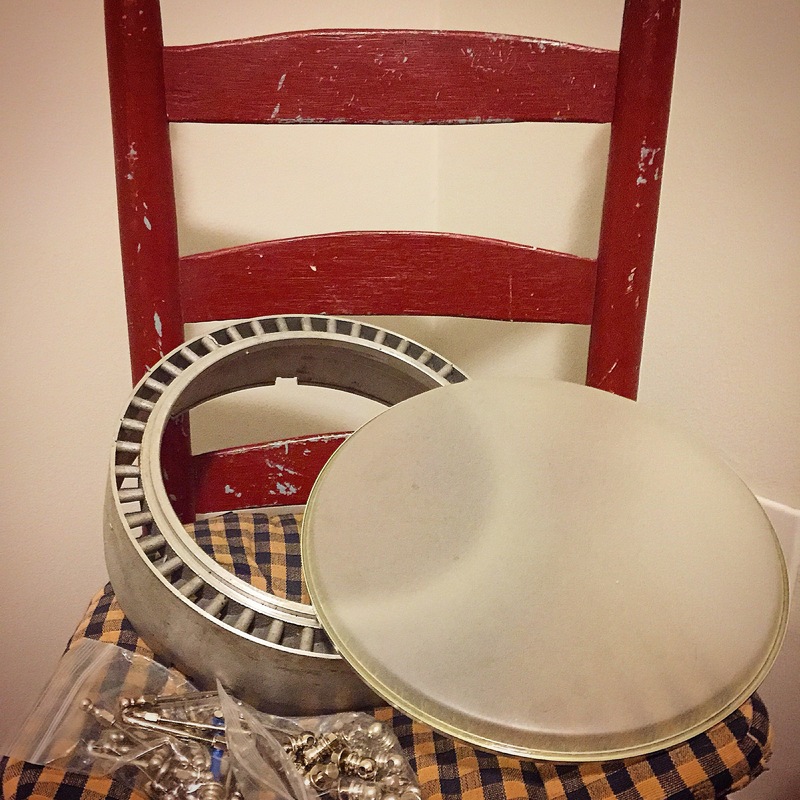 I have not yet replicated one of the Cottrell tailpieces and am excited to get started on it. Below, you’ll find some pics of the beginning stages of the build. There will be many more pictures of this build coming soon. Let me know what you think! 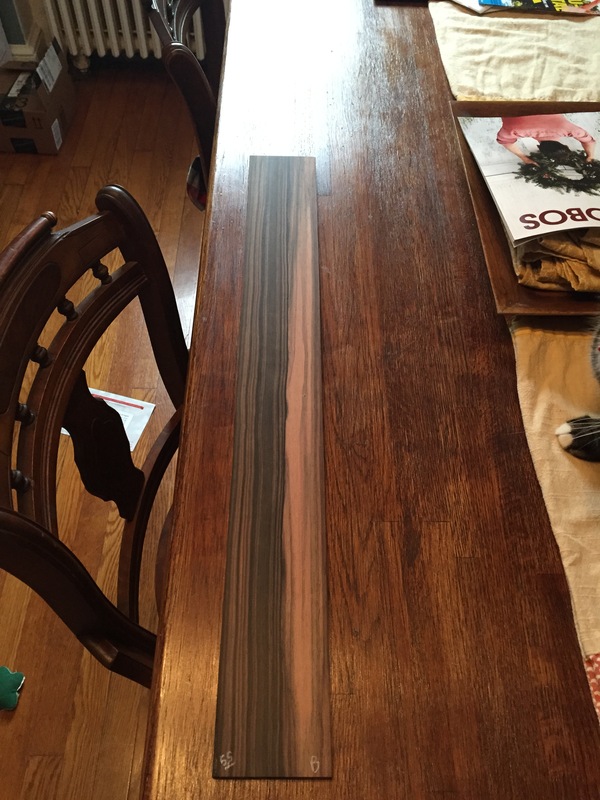 Natural macassar ebony. 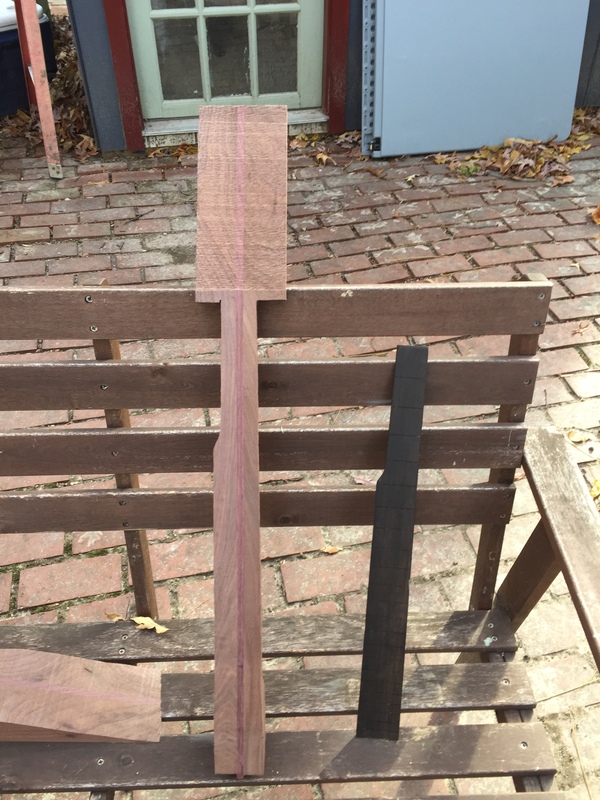 I love all of the grain when ebony is not dyed. I’ve been playing claw hammer banjo going on 6 years now. I’ve been extremely fortunate to have some extremely talented individuals take me under their wings and show me a thing or two. Ben Townsend: I spent a good 4 years learning from Ben. In between Fox Hunt tours, I spent two or three hours a week over his place learning banjo. 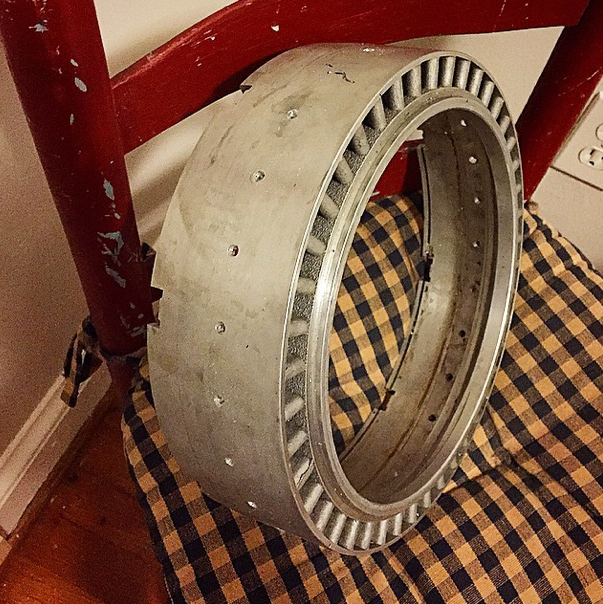 Tim Bing: Each summer I take a trip down to Marlinton, West Virginia to spend a week learning from Tim Bing at the Allegheny Echoes workshop. Both Tim and Ben have had the biggest influence on my playing. It doesn’t get much better than those two. Reed Martin: One of the most talented claw hammer banjo players I’ve heard. I’ve spent two days over his place. Since he only lives 10 miles from me, I plan to hopefully spend many more. Really working on getting his technique down now. David O’Dell: Another great friend of mine and another one of West Virginia’s Finest. Also the best thing to happen to the West Virginia State Folk Festival! Jim Costa: Jim has to be one of the most interesting people I’ve met in my life. I could sit and talk and play music with him for a week and not get tired, nor loose interest. Jim has spent a lot of time mastering Dave Macon’s style. He plays Dave Macon better than Dave Macon played Dave Macon. I built these banjos by commission. For a while, I wanted to build several banjos at a time to sell. However, I really enjoy taking on one or two banjos at a time that are made custom for the people that will be playing them. 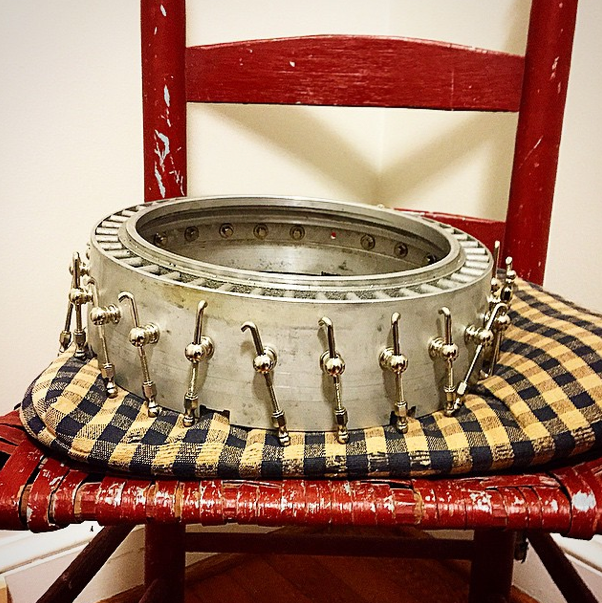 This allows me to take the give to build each banjo into a unique instrument that is unlike any other I have built. Although many of the options could be repeated, each banjo comes out differently depending on who I’m building it for. 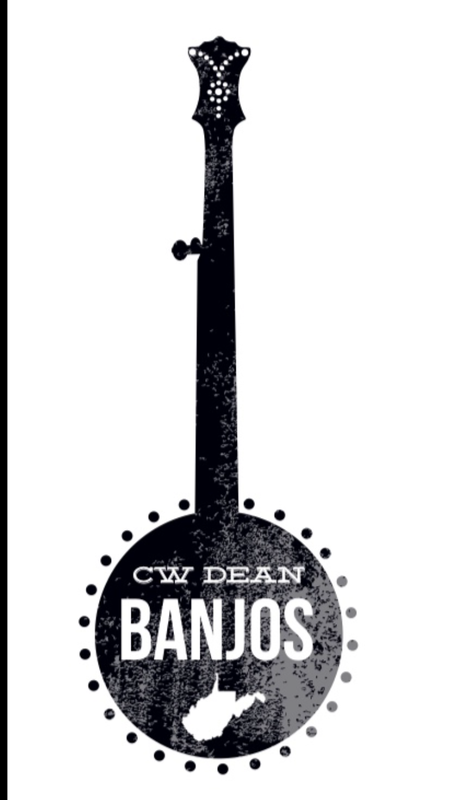 It has been a real honor to be given the carry on the tradition that Jenes started with the banjos he made. As a result of my interest I have been very fortunate meet so many wonderful people and to develop many wonderful friendships. I have played many of his banjos, sat in furniture he made, gotten to know those who knew him, and tried to not only replicate his building techniques, but also use my own techniques as well. I can only hope that my instruments would have met his approval. I plan to continue to build these banjos as long as possible. I can only hope that they bring people the same joy and longevity that the instruments Jenes made, 60 plus years ago, still do to this day. 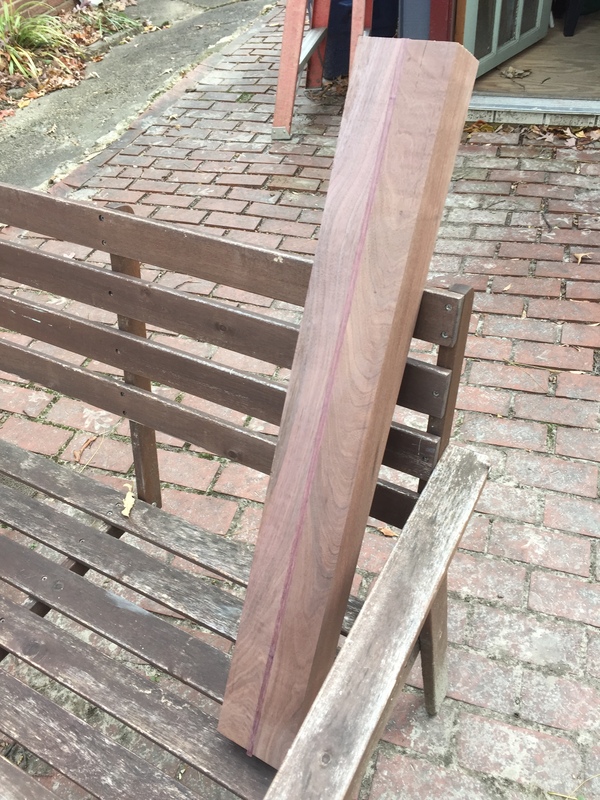 Eventually, I plan on having a website up with photos and build options and use this blog for, well, blogging about each build. For now, if you are interested in a build, I can send you a pdf with options and pricing. You can contact me at dean.christopher.w@gmail.com and I’ll send information your way. Also, if inclined, please leave comments on my page. I would love to get some feedback!